The 3 wheel Go-Go Ultra X has innovative design features such as a one-hand locking mechanism that simplifies disassembly and a drop-in battery pack that makes battery removal a snap. The Go-Go Ultra X comes with all of this at an impressively low price, making it the ultimate value in the travel scooter class. 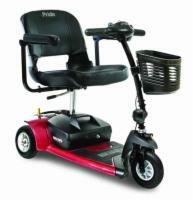 Solid wheels and off-board charger included standard. Fun Bobby from Tennessee would recommend this to a friend. Very fast delivery, faster than expected direct to door even with long steep drive. No damage. 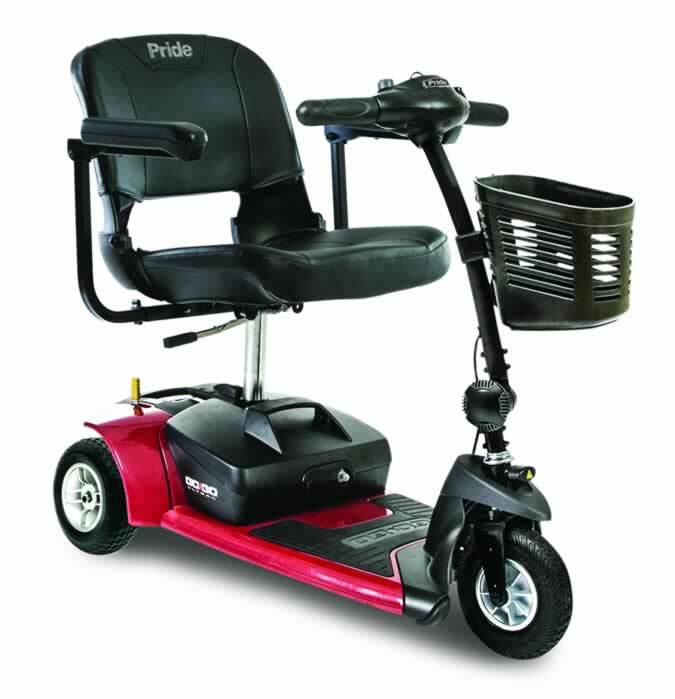 Due to progression of MS, I can't move left leg any more so walker unusable and only way to be mobile is with scooter or wheelchair and this seems best at time. 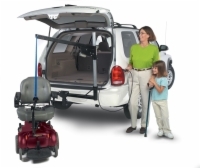 Quick set up fits in most any vehicle.Had one for a year before buying second to leave in car and as backup if needed. Jackie Go-Go from West Melbourne, Fl would recommend this to a friend. I'm 72, and was very active until 2 yrs. ago. I hurt my knee and cannot walk very well. 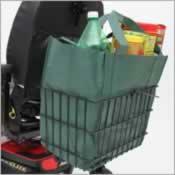 Great for transporting. Stylist, easy to operate, goes anywhere, convenient charging, and I love it!!! Short on leg room and really that horn. Excellent. I ordered it on a Monday and received it two days later. I look forward to going out now. The things I've put off I can now do. Thank you for giving me my life back. Kitty Mom from Berkeley, CA would recommend this to a friend. 65 year-old woman, living in subsidized senior housing. Easy to drive, relatively easy to assemble and take apart, impressive to friends (and everyone else), excellent maximum speed, charges quickly. Very cute! Fast. Packed well. Arrived in excellent condition (see note on assembly). I love my scooter! More explicit instructions in putting it together would have been helpful (especially the metal parts and tool included). I have not taken photos yet - I'll send later if requested. I like it, except for on grass. I don't have one. from West Unity, Ohio would recommend this to a friend. Easy to Transport. Comfortable. Easy to Maneuver. Fast. Powerful Motor. Long Battery Life. I got it to use outside, however found that it does not work well on grass. Other than that it works well. I do not use it in the house, as I have a small house and I also want to keep the use of my legs as long as I can. I am happy with my GO GO! Rod from Rimlap, AL would recommend this to a friend. My GO-Go does all that I need it to do. We went to DISNEY and the battery lasted all day every day for the six days we were there. I am very pleased with this unit. Product has changed my life for the best. Gee Scott from Brick, NJ would recommend this to a friend. 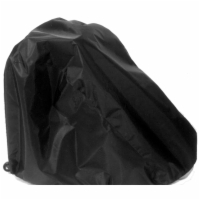 This product is comfortable and easy to store in a car. 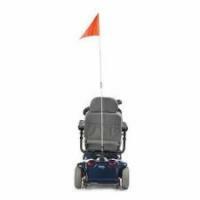 Very easy to use in daily activities and makes life much better in getting around now that I have ALS. It has changed the way I see my abilities to go about outside the home and in public - I love it to death.